Ibnsina Pharma S.A.E. (“Ibnsina” or the “Company”), Egypt’s fastest-growing and second-largest distributor of pharmaceutical products, finalized today the listing of its shares on the Egyptian Exchange (EGX). The listing comes in advance of Ibnsina’s planned initial public offering on the EGX (the “Offering”). The Offering is expected to consist of a primary offering of newly issued shares and a secondary offering of existing shares held by the Company’s current shareholders (collectively the “Shares”) constituting around 37.5% of Company’s total share capital post-money. “I am very pleased that we have finalized the listing procedures, an important regulatory milestone for our transaction. We have also concluded our pre-marketing roadshow and have recorded strong interest from investors in London, Frankfurt, the United Arab Emirates, Saudi Arabia, South Africa, and the United States, and look forward to our deal roadshow during the second half of November,” said Mohsen Mahgoub, Executive Chairman of Ibnsina. Separately, the Company confirmed that Pharos, acting as independent financial advisor (“IFA”), has completed its fair value report on Ibnsina’s shares. Ibnsina has submitted the IFA report to Egypt’s Financial Regulatory Authority (FRA) for review and approval. The Offering is expected to take place in December, subject to market conditions and the receipt of regulatory approvals. Ibnsina is Egypt’s fastest-growing and second-largest pharmaceutical distributor serving over 35,000 clients including retail pharmacies, wholesalers, hospitals and public health institutions across Egypt with products from over 325 local and multinational pharmaceutical companies. Ibnsina Pharma has a market share of c.18.8% 1 and expects to close 2017 with revenues in excess of EGP 9.5bn. Established in 2001, the Company has been the fastest -growing pharmaceutical distributor in Egypt, with revenues growing at a CAGR of 30% over the past five years compared to an industry CAGR of c.17%. The Company has over 5,500 employees and a fleet of around 600 vehicles serving nationwide demand through a network of 55 operational sites2 including warehouses and distribution hubs, among others, and has over 850 telesales personnel. Ibnsina’s growth prospects are buoyed by favorable market conditions as well as recent regulatory reforms allowing pharmaceutical manufacturers to re-price their products. The European Bank for Reconstruction and Development is a minority shareholder of Ibnsina, having acquired a 21% stake through primary and secondary share transactions in 2015. The Company’s other shareholders include the Mahgoub family (24%), the Abdel Gawad family (22%), and Faisal Islamic Bank (16%). Other shareholders, including members of the senior management team, collectively hold the remaining 17%. Originally established in 2001, today Ibnsina Pharma is Egypt’s fastest-growing and second largest pharmaceutical distribution company. The Company distributes a competitive portfolio of pharmaceutical products from over 325 local and multinational pharmaceutical companies to over 35,000 customers including retail pharmacies, wholesalers, hospitals, and public health institutions. Its fleet of around 600 vehicles completes an average of over 375,000 deliveries each month. 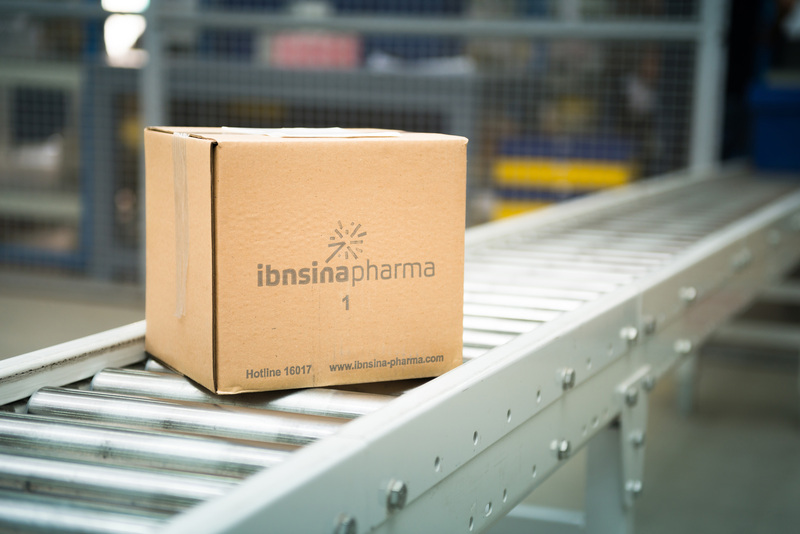 Ibnsina’s core services for suppliers include management of warehousing and logistics for pharmaceutical products as well as the development and execution of tailored marketing solutions targeting a nationwide database of customers. The Company also provides efficient and reliable order-taking and delivery services to customers and was the first in its industry to pioneer a telesales model. Operating across 55 sites in 23 governorates nationwide by end of 2017, Ibnsina’s team of more than 5,500 employees is dedicated to improving people’s quality of life by ensuring their access to safe and high quality pharmaceutical products. Beltone Financial is a leading regional investment bank, offering a full range of financial services to companies, institutions and high- net-worth individuals in the Middle East, Europe, North America, and Asia. Beltone is the largest asset manager in Egypt with c. EGP 25 bn in AuM and a leading provider of independent equity research in the region. The firm’s track record includes the execution of over EGP 100 bn in M&A and capital markets transactions. Beltone is present on ground in the US through its subsidiary Auerbach Grayson, a New York-based brokerage and placement agent with access to over 125 markets globally. In 2015, the firm was acquired by Orascom Telecom Media & Technology (OTMT). Beltone is listed on the Egyptian Exchange trading under BTFH.CA. The Company and Beltone Investment Banking, S.A.E. (“Beltone”) do not make any representation or warranty, express or implied, as to the accuracy or completeness of the information contained in this announcement, including the suitability of the Shares for any particular investor, and nothing contained in this Announcement is, or should be relied upon as, a promise or representation by the Company or Beltone or their respective affiliates or advisors. This Announcement does not constitute, or form part of, any offer or invitation to sell, allot or issue, or any solicitation of any offer to purchase or subscribe for, any securities, nor shall it (or any part of it) or the fact of issue by the Company form the basis of, or be relied upon in connection with, or act as any inducement to enter into, any contract or commitment for securities. Any purchase or subscription for Shares pursuant to the Offering must be made only on the basis of the information contained in the offering prospectus or the public subscription notice (the “PSN”). As this announcement is intended for advertising purposes, no reliance may be placed for any purpose whatsoever on the information or opinions contained in this announcement or on its completeness, accuracy or fairness. No undertaking, representation, warranty or other assurance, express or implied, is made or given by or on behalf of the Company nor directors, officers, employees, agents or advisers or any other person as to the accuracy or completeness or fairness of the information or opinions contained in this Announcement and no responsibility or liability is accepted by them for any such information or opinions. Persons reviewing this Announcement should note that it has not been independently verified and that Beltone is acting for the Company in relation to the Offering and for no one else and will not be responsible to anyone other than the Company for providing the protections afforded to their respective clients or for providing advice in relation to the Offering or the contents of this Announcement or any transaction, arrangement or matter referred to herein. In particular, this Announcement is not for distribution or being made available in or into the United States, Canada, Australia, Qatar, the Republic of Ireland, Kuwait, the Republic of South Africa or Japan or to any US persons (“US Persons”) as defined in Regulation S (“Regulation S”) under the US Securities Act of 1933, as amended (the “US Securities Act”). The Shares have not been registered under the US Securities Act, or under the securities laws of any state or other jurisdiction of the United States, and may not be offered or sold in the United States, or to, or for the account or benefit of, US Persons except in a manner fully compliant with the US Securities Act. The Shares have not been and will not be registered under the securities laws of Canada, Australia, Qatar, the Republic of Ireland, Kuwait, the Republic of South Africa or Japan. Accordingly, the Shares may not, subject to certain exceptions, be offered or sold, directly or indirectly in or into Canada, Australia, Qatar, the Republic of Ireland, Kuwait, the Republic of South Africa or Japan or to any national, citizen or resident of Canada, Australia, Qatar, the Republic of Ireland, Kuwait, the Republic of South Africa or Japan. No person has been authorized to give any information or make any representations other than those contained in the PSN and, if given or made, such information or representations must not be relied upon as having been so authorized by the Company. The Company will comply with its legal obligation (if any) to publish a supplementary announcement containing further updated information if so required by law or by any regulatory authority but assumes no further obligation to publish additional information. Certain statements in this announcement are not historical facts and are forward-looking statements. These forward-looking statements are subject to a number of risks and uncertainties, many of which are beyond the Company’s control and all of which are based on the Company’s current beliefs and expectations in relation to future events. The forward-looking statements are typically identified by the use of forward-looking terminology, such as “believes”, “expects”, “may”, “will”, “could”, “would”, “should”, “intends”, “targets”, “aims”, “projects”, “estimates”, “plans”, “assumes”, “potentially” or “anticipates” or the negative thereof or other variations thereon or comparable terminology, or by discussions of strategy that involve risks and uncertainties. In addition, from time to time, representatives of the Company have made or may make forward- looking statements orally or in writing. Furthermore, such forward-looking statements may be included in, but are not limited to, press releases or oral statements made by, or with the approval of, an authorized executive officer of the Company. Forward-looking statements include statements concerning the Company’s plans, objectives, goals, strategies, future events, future revenues or performance, capital expenditures, financing needs, plans or intentions relating to acquisitions, competitive strengths and weaknesses, business strategy and the trends anticipated in the industries and the political and legal environment in which the Company operates and other information that is not historical information. These forward-looking statements and other statements contained in this Announcement regarding matters that are not historical facts involve predictions. No assurance can be given that such future results will be achieved; actual events or results may differ materially as a result of risks and uncertainties facing the Company. Such risks and uncertainties could cause actual results to vary materially from the future results indicated, expressed or implied in such forward-looking statements. Prospective investors should be aware that a number of important factors could cause actual results to differ materially from the plans, objectives, expectations, estimates and intentions expressed in such forward-looking statements. When relying on forward-looking statements, prospective investors should carefully consider uncertainties and events. Such forward-looking statements speak only as of the date on which they are made. Accordingly, the Company does not undertake any obligation to update or revise any of them, whether as a result of new information, future events or otherwise other than as required by applicable laws or regulation. The Company does not make any representation, warranty or prediction that the results anticipated by such forward-looking statements will be achieved, and such forward-looking statements represent, in each case, only one of many possible scenarios and should not be viewed as the most likely or standard scenario. Neither the Company nor Beltone may give any assurance or accept any liability for the accuracy of the opinions set forth herein or as to the actual occurrence of any predicted developments. Accordingly, prospective investors should not rely on the forward-looking statements in this Announcement and must read the PSN in its entirety.